Earlier this week I attended the release party for An Extra Mile, the fourth and final book in the Sensible Shoes series by Sharon Garlough Brown. I’ve had the honor of serving as a “midwife” for this book and for Barefoot (book 3), so this was a special time to celebrate with the author and about a hundred other devoted readers. An Extra Mile continues the interwoven stories of Hannah, Meg, Mara, and Charissa. The characters, like all of us, are beautiful, messy, and deeply loved by God. Though Meg (I confess, she’s my favorite) is no longer physically present in this final book, her presence is palpable on almost every page. And the character of Meg’s daughter, Becca, is further developed in a powerful story arc. A fantastic resource for journeying through the forty days of Lent! As the Sensible Shoes Club walks together from death to life, from cross to Easter, readers can follow in their footprints with spiritual exercises designed to draw us deeper into the heart of Jesus. This is a fantastic resource for journeying through the forty days of Lent (beginning February 14, 2018) to Resurrection Sunday and beyond to Pentecost. Love Big, Be Well: Letters to a Small-Town Church (Eerdmans, 2017) by Winn Collier is like an Impressionistic word-painting of life in a small town and the distinct role a church plays within th at culture. Since I’m married to a small-town pastor, the idea of this book intrigued me. Collier has a gentle prose style that teeters on the brink of poetry. He does a fantastic job capturing the ethos of ministry in a small-town church as only one can who has been there, done that, and he does it using the unique form of letter-narrative. The book is set in the fictional town of Granby, USA. The Granby Presbyterian Church is weary of searching for a new pastor. Not one of the candidates they have interviewed so far is willing to consider a call to such an obscure place. Jonas McAnn had served a church fourteen years before burning out and leaving the pastorate to sell insurance. But he feels a holy discontent knowing that God has not released him from the call to ministry. When Jonas receives a letter from Granby’s search committee asking, “Do you actually want to be our pastor?…Will you love us? And will you teach us to love one another?” the Holy Spirit speaks to him through their simple honesty. He’s never aspired to be a leadership coach or fundraising executive or strategist, which seems to be what other churches desire in a pastor. He wants to serve, and Granby Presbyterian seems like the one place he can do that. “Just bring us yourself, Jonas,” they tell him. “Whatever else pastors might do when they come to a new church, please just bring us yourself.” And so he does. I read the book in just a couple afternoons. Didn’t want put it down, actually. But I know I’ll go back and savor these letters and even a few specific lines again and again. I hope you will too. The book will be released on October 27 and is currently available for pre-order. 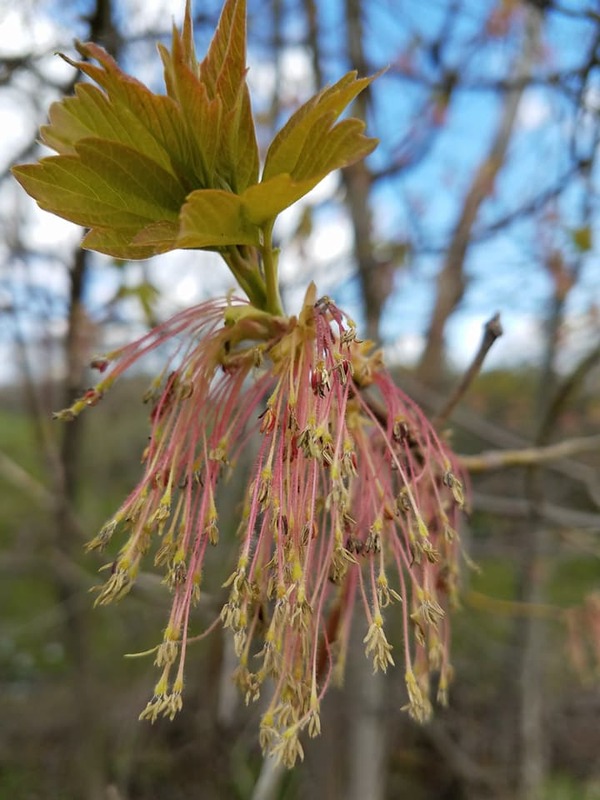 I’m delighted to be sharing a few thoughts over at the Breathe Blog today! Being part of an online writing community has been a source of blessing and growth for me as a writer. Take a minute to read about my experience; if you’re a writer like me, I hope it will encourage you to find a community of your own. For example, I never expected to sit beside Hannah and Meg in an oncologist’s office as they receive a devastating diagnosis. I was not ready to have my heart broken like that. But oh, how beautifully, how tenderly the author broke it. Having lost my mother to cancer when I was 19, then going through my own battle with breast cancer at age 30, I can tell you with certainty that the story is told truthfully, compassionately, and with love and understanding for all involved. Brown has a way of making readers feel part of the pilgrimage. Her books will cause you to think deeply about your relationship with God and with others. I believe the connection with her characters translates into greater understanding for the everyday people we encounter. Brown’s use of language and symbolism, the empathic manner in which way leads onto way and it all weaves back together…it’s flawless. Her characters are real, not mere cardboard cutouts without faults. Their struggles and joys and tears are genuine, and you will find yourself struggling and rejoicing and mourning right along with them. They are Every[wo]man. Not all their problems are resolved, and you won’t find a happily-ever-after ending. What you will find is the promise of God’s presence within the pain, and an even better “happily ever after” with Christ. What more could we desire? Reading Barefoot has been a sacred privilege. Sharon Brown takes us a step farther as we journey with these four women through sin and death’s valley to see how God uses their relationships to light even the darkest places. And given that the book closes with a wedding and the imminent birth of Charissa’s baby, I’m eagerly awaiting An Extra Mile. That fourth and final book in the series is slated for publication in early 2018, and I can’t wait to meet the next generation of pilgrims! This quarter in Sunday school, my middle school class is finishing up our study of the New Testament. So this morning as I began preparing a lesson on Revelation 4 , I came across a great encouragement in my teacher’s guide. The resource starts out with the standard historical background on the Roman empire, how it was ruled by a string of wicked men going back to its very beginning in 27 B.C. Some of those emperors—Nero, for instance—would today be classified as criminally insane, and they took particular pleasure in persecuting followers of Jesus. The first recipients knew the discouragement of persecution at the hands of the Roman government. The Christians to whom John wrote must have despaired of being treated unfairly, whether they were Jewish or Gentile. Where was God in the midst of their troubles? Was He really on the throne of the universe? How were Christians supposed to relate to the government when the leading figure was vile? The Holy Spirit used these two paragraphs to remind me of something that is perhaps obvious, but that too often gets lost in the nonstop pounding of a media-crazed culture. Something that’s vital to how I see the world. That’s essential in overcoming despair at a universe terrorized by sin. The vision of God’s throne room in Revelation 4 is not just a one-time event John witnesses and records. The flashes of lightning and peals of thunder that express His power are not just something that happened in the past. God’s majesty on display in this scene is not merely a hopeful foretaste of what will happen in the future. Everything John writes in Revelation 4 is happening. Right. Now. In the aftermath of terrorist attacks in Paris…God is on the throne of the universe. Though countries are torn apart by hatred and civil war and death…there are twenty-four elders falling down before the eternal God, laying their crowns at His feet. In the middle of one of the worst refugee crises in recorded history…angels and saints, seraphim and elders are calling out praise and adoration to the One who is compassionate and true. In a world losing its mind, in a church whose love is growing cold… God is actively ordering all things for His glory and to bring about the fulfillment of His eternal plan. Church, we need—I need!—this glimpse of God’s beauty and holiness to remind us Who is really on the throne. He always has been, He always will be. Nothing changes that. We need to be unshakable in the conviction that God has a plan. We need to look beyond the here and now and grasp that He is the King of the universe. And though the enemy of our souls will work his vilest schemes to undo us, we need to live in confidence that the gates of hell will not prevail against the kingdom of our Lord God. A sovereign God has all things well in hand. His purposes cannot be derailed, and nothing takes Him by surprise—past, present, or future. Tracy Groot, you had me at Milton! 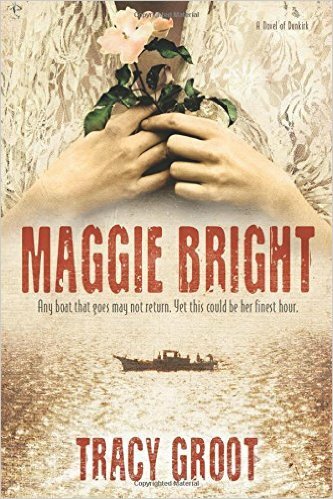 Even if I hadn’t read your previous novels—including Flame of Resistance and The Sentinels of Andersonville—I would have snatched up Maggie Bright and devoured it whole. Take a pivotal moment of World War II, add a dash of amateur sleuthing, dollops of heroic action, and a twist of epic English poetry, et voila! A recipe for Amy staying up until 3 a.m. to finish the book and find out what happens. 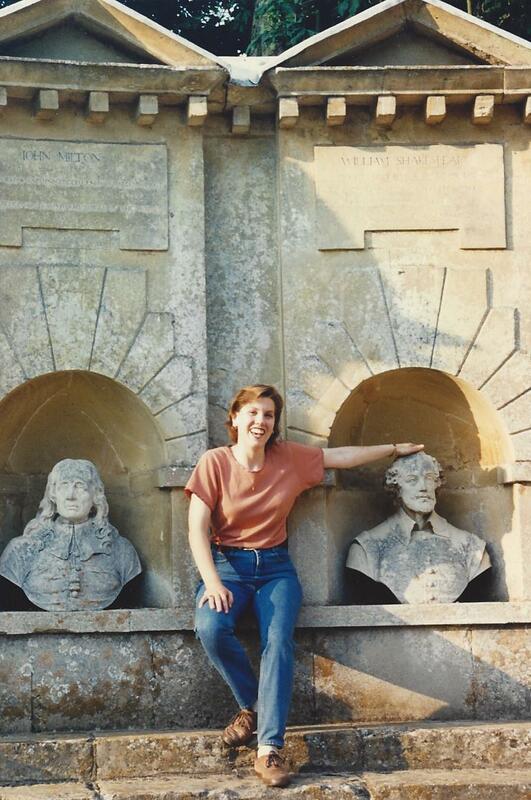 Back in the day, hanging out with two of my favorite poets–John Milton (left) and Will Shakespeare (right). Taken at Stowe, England, June 1996. By May 1940, Nazi forces control most of continental Europe. America would not enter the war for another year and a half. England stands alone against Hitler’s war machine. And just when it seems things can’t get any darker, the British Expeditionary Force is thrown into full-blown retreat across Belgium. Orders are to regroup at Dunkirk so the Royal Navy can evacuate as many troops as possible across the English Channel before they are overrun. Every page of the book is filled with characters I would love to get to know better over a cup of tea. Clare Childs, the owner of the Maggie Bright. Mrs. Shrewsbury, one of Clare’s boarders. Murray Vance, a tough Brooklyn artist who arrives in England searching for his friend, Father Fitz, but gets more adventure than he bargained for. Jamie Elliott, a young private who has been separated from his squad and is struggling toward Dunkirk with the added burden of a badly wounded soldier known simply as Captain Milton due to the fact that he can only communicate by quoting lines from Paradise Lost. Every character is endearing. I care about them all. But the main character of the book—the one that ties all these individual stories together—is the Maggie Bright herself. And somewhere within her hull lies a secret that will forever change things. Once the secret is revealed, the whole world will see the depths of human depravity and have no choice but to look evil dead in the eye. In the end, Maggie joins in the greatest military rescue in history as Churchill recruits civilian craft to help evacuate more than 300,000 men from the beaches of Dunkirk. It is England’s most desperate hour, and Maggie and all her supporting crew persevere against all odds. And trust me. Even though you know from history how the story ends, pray you will. I love attending conferences and coming away with new things to read. (Because I really do need more things to read, right?) So while I was at the Breathe conference last month, I raided the book table and picked up a few titles. After hearing Sharon Brown do a reading and participate in a Q&A time, I made sure to grab a copy of Sensible Shoes, and I’m so glad I did. Four women. Four different stories. Hannah, Meg, Mara, and Charissa become the unlikeliest of friends as their personalities unfold within the context of a sacred journey group at a spiritual retreat center. Sharon Brown does a fantastic job weaving these four ladies into a beautiful tapestry of God’s love and grace. I connected with each character at a heart level, but a few examples really resonated. “Will I always want your gifts more than I want you?” Hannah asks God in one of her journal entries. I’ve found myself struggling with that same question over the years. When Meg shows up to the first group session completely overdressed…well, it took me back to my own awkward moment when, as a college freshman, I showed up to an event way overdressed. How often have I walked right past Mara while grocery shopping? And how often have I displayed a perfectionistic and judgmental attitude toward her, just like Charissa? Sharon Brown masterfully knits all these women together in a way that makes them come to life. If you don’t see yourself in them, at the very least you know someone just like them. One character in particular endeared herself to me. Katherine, the group facilitator, reminds me of my dearest friend and mentor who led so many of us girls in studying the Bible and practicing the spiritual disciplines during my college days. “Huh,” I pondered. “If she prayed as she wrote, it’s likely that I’ll be drawn to pray as I read.” I was, which to me is one sign of a good story. Sensible Shoes is neither fluffy nor sugar-coated. It is deeply formational—a breakthrough in the industry. This is not a book I read to escape or disconnect. I took it slowly, savored each chapter, pondered each new plot and character development. Not only is it a good story, it is an excellent introduction (or refresher course) to the spiritual disciplines. And in the end, it drew me into worship at how our loving Father calls us his beloved and orchestrates our stories into his greater Story. He uses our pain, our mistakes, our disappointments and regrets as he continues forming us into the image of his Son, Jesus. I’m eager to continue the journey with the Sensible Shoes Club in the sequel, Two Steps Forward. I hope you’ll join me on the path. Every now and then I come across a work of fiction that stirs me to the soul. 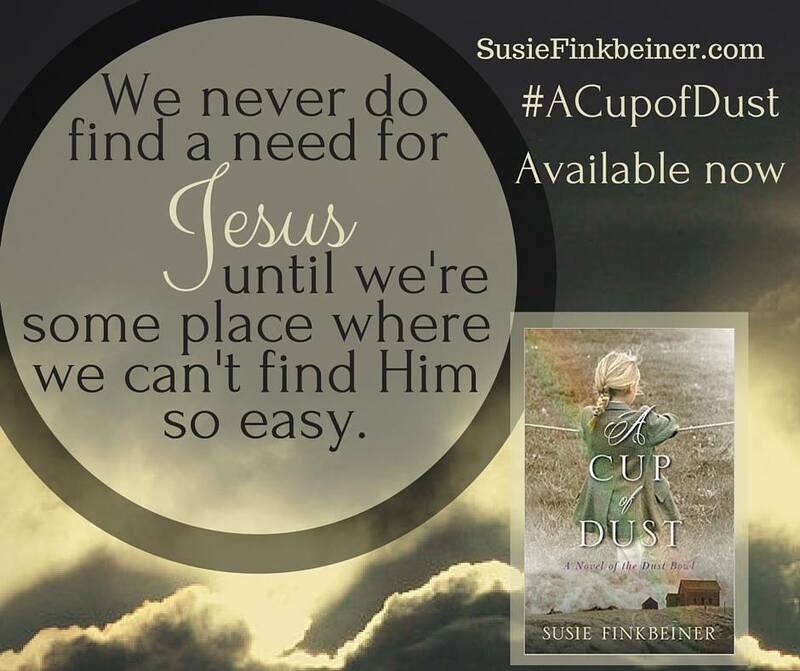 A Cup of Dust, the new novel from Susie Finkbeiner, is one of those books. Artfully and poetically crafted, the author spins a poignant story set in the Dust Bowl that was Depression-era Oklahoma. Ten-year-old Pearl Spence seems better off than other children living in Red River. She has a family that loves her. They live in a comfortable house rather than a crumbling dugout or delapidated sharecropper cabin. Her daddy has a good job as the town sheriff, so unlike most other families, the Spences have food to eat and clothes to wear. The thing I love most about the Spence family is their generosity; Pearl’s mama and daddy are always quick to share their plenty with those who don’t have enough. Pearl’s days start out relatively carefree as she wanders barefoot through the red dirt. But the idyll is shattered by the dusters blowing through their dying farm community, filling their lungs with sand and coating everything in dust. Pearl watches her friend Ray’s family shatter beneath the strain of hunger and want. And one day when a hobo named Eddie hops off a train and fixes to do more than just pass through Red River, Pearl’s own world begins to fracture. Eddie becomes the stuff of nightmares as he torments her with notions that she isn’t who she thinks she is. Will Pearl ever discover the dark secret that now lingers on the fringe of her mind like the ramshackle Hooverville on the edge of town? The story races to a tense climax before its moving, hope-filled conclusion. To say it ends happily ever after like one of Pearl’s fairy tales would be untrue, since the Dust Bowl continued on into the late 1930s. But for Pearl and her family, Meemaw’s assurance that God will help them echoes well beyond the final page. My number-one criteria for evaluating a good story is prayer. As I read, am I drawn into praying for the characters? Because if I am, then those are believable personalities I could bump into any day, anywhere—at church, in line at the supermarket, out in the community. Even though these are fictional beings, there are or have been or will be people just like them facing hardship and plenty, abandonment and belonging, grief and joy. I believe God delights in the prayers I breathe on behalf of these characters. I believe in them he hears the cry of my heart for all the people in all the stories of his grand, overarching Story. 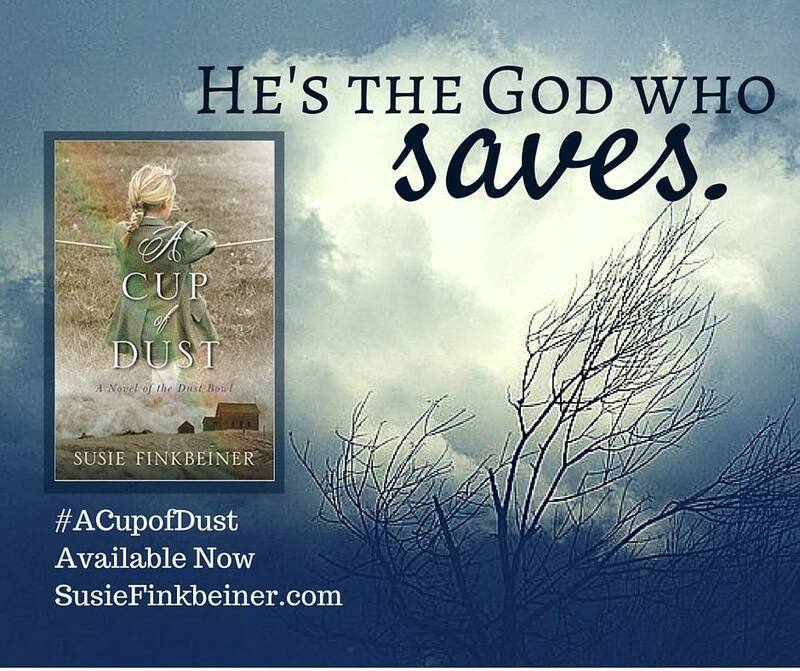 I hope you’ll pick up a copy of A Cup of Dust and join me in praying for the Pearls and Rays and Beanies and Meemaws and Winnies of this earth. I have three new poems featured in the November/December issue of Indiana Voice Journal, which was just released this past week. You can click here to go right to my page. “The Work of Our Hands” is a poem that earned a full scholarship for me to attend the Breathe Christian Writers Conference in 2014. I had the privilege of reading it to open the conference that year, and I’m grateful to finally see it in print. “Prospect Park, Winter 1930” is a fictional narrative that has its inspiration in a true story my mom and grandma used to tell about Aunt Rose giving away her husband’s good overcoat to a hobo. My desire was to capture a vignette of life that winter after the market crashed. “Winter Solstice” is the third poem. It speaks for itself. 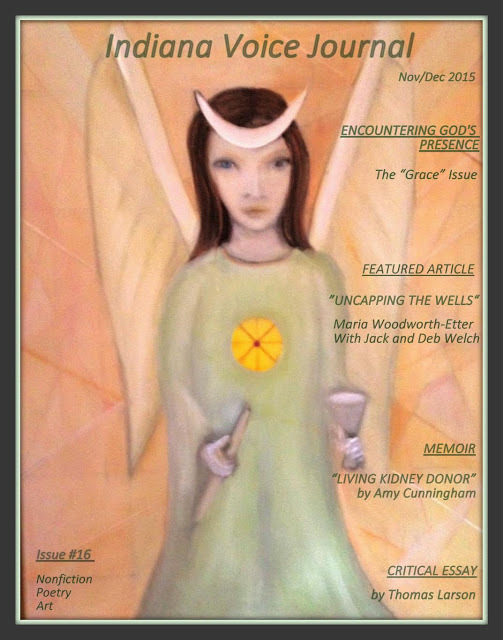 I’m so grateful to be included in this lovely “Grace” issue along with so many other gifted writers. Be sure to check out their work too. May the words be a blessing to you this day, dear reader. Today I learned that Phyllis Tickle, longtime religion editor at Publisher’s Weekly, went to be with the Lord on September 22. I knew she had been ill, and I had prayed for her as the Lord brought her to mind. This morning was one of those times, and I wondered how she was doing. Visiting her website, I saw the press release saying that she had passed away. I was privileged to meet Phyllis once at an Evangelical Christian Publishers Association conference in 1999. I was two weeks in at my new job working as an editorial assistant for Baker Publishing Group, and I already knew that I loved the world of book publishing and would make it my career. The ECPA was meeting in Grand Rapids that year, and Baker had registered their staff weeks before I was even hired. But one person who was scheduled to attend got sick and could not be there–so I got to go in their place. Providence! Especially dear to me was the keynote speaker, Phyllis Tickle. Author, editor, and mother of 7 [seven! ], she is a true blessing and a picture of God’s grace. She has a brilliant mind that enhances her nurturing, maternal nature. Her strong desire to reach my generation through the written word is an encouragement and challenge to me as this responsibility passes to me in the coming decades. Such wisdom…I appreciated her warm candor, and I never forgot her advice. Although I admit that, even with only one child, some days I do think too much and I do get simply terrified. I love Phyllis’s writing style and treasure her stories from the farm in Lucy and her books on praying the divine hours. But my favorite of her books that I have read is A Stitch and a Prayer: A Memoir of Faith Amidst War, in which she reminisces about growing up during WWII. May her soul rest joyfully in Christ our Savior in the sure and certain hope of the resurrection at His coming again.